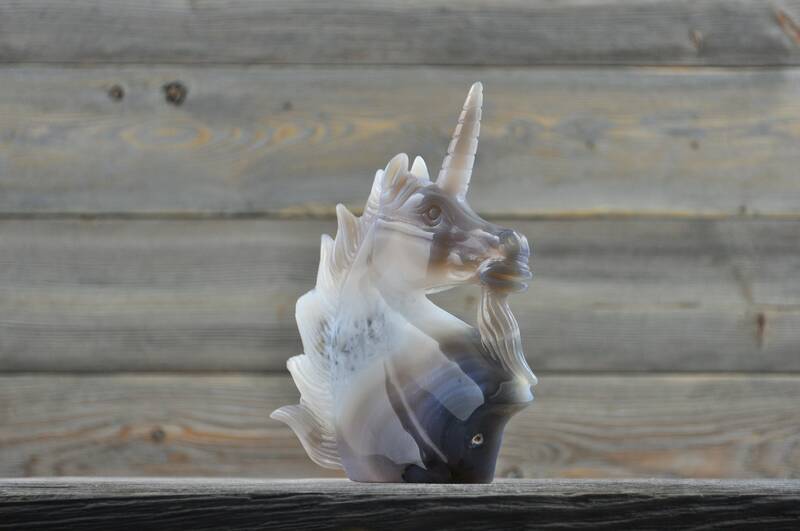 Beautiful Hand Made Banded Agate Quartz Geode Unicorn!! 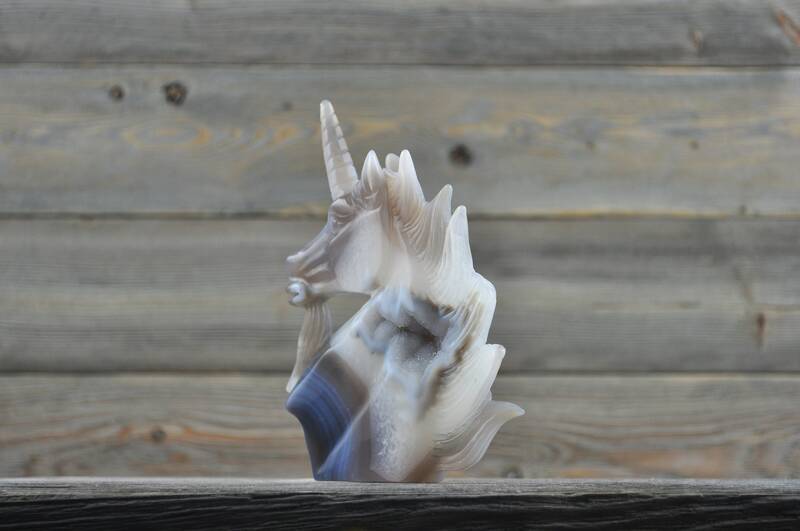 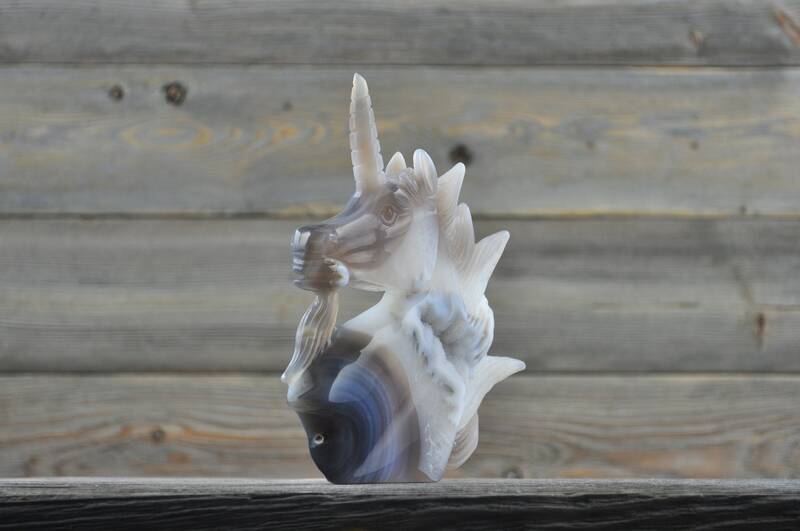 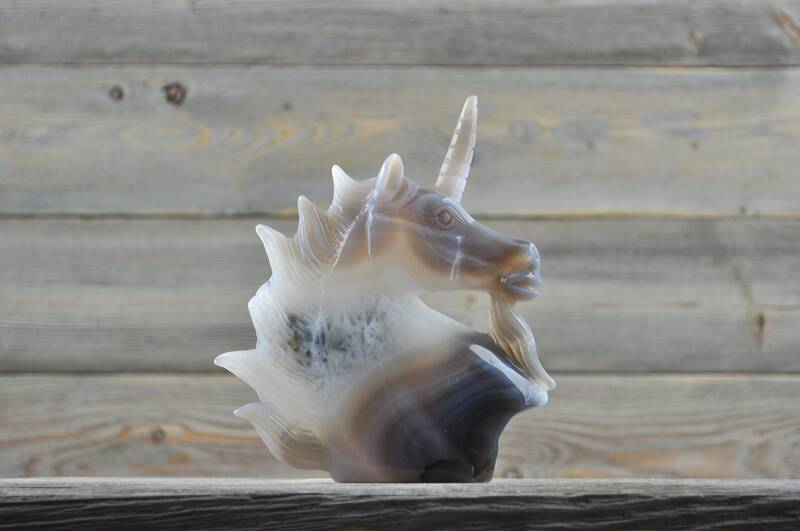 Super unique, Hand Made Banded Agate Quartz Geode Unicorn!! 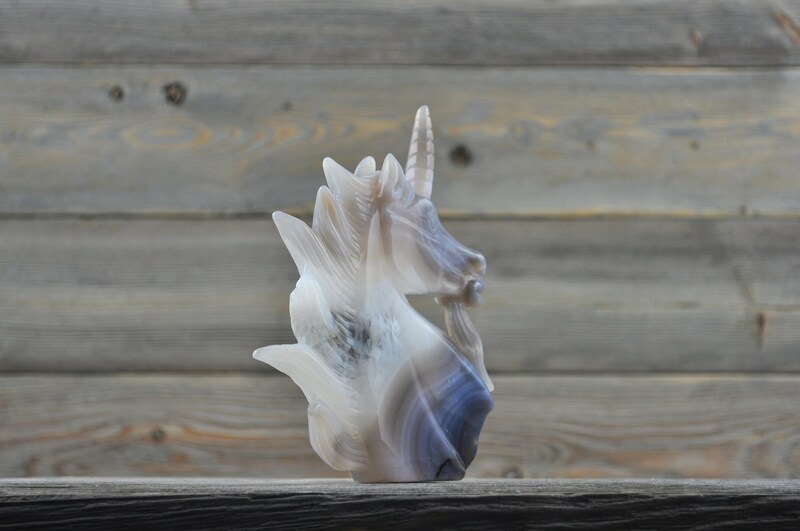 A unique and beautiful collectible! 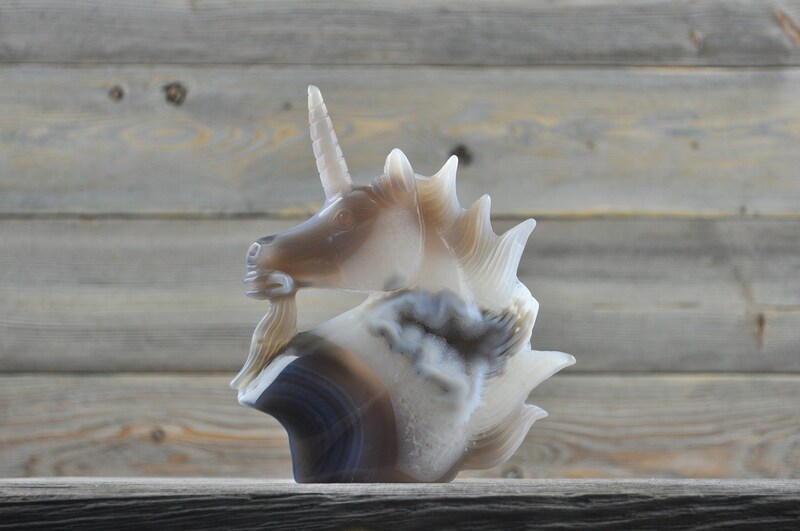 Measures approx : 4.5" x 1.7" x 5.7"
The carving pictured is the exact one you will receive.